The CWA creates a method of defining "clean" for streams, lakes and marine waters. Water-quality criteria establish a boundary between acceptable conditions and harmful pollution levels. Such criteria range from temperature to oxygen to a host of specific chemicals. Different sets of criteria are meant to protect different "designated uses" of a waterway, such as providing water supplies, allowing recreational activities and sustaining aquatic life. Human-health criteria specify limits for chemicals where people could be eating fish or drinking water from a lake or stream. Congress empowered the federal Environmental Protection Agency to enforce the CWA. Secondarily, the EPA was allowed to delegate its regulatory and enforcement authority to states, Indian tribes and territories. In Washington state, the Department of Ecology adopts regulations and oversees implementation of the CWA, although the EPA must first sanction some regulatory actions. The CWA addresses "point pollution" from pipes and indirectly deals with "nonpoint pollution" from diffuse sources. After the CWA was passed in 1972, the focus was on using permits to limit pollution from industrial facilities and sewage-treatment plants. In the late 1980s, efforts shifted to contaminants in stormwater, which today is considered the greatest source of pollution to Puget Sound. Permits cover point pollution and regulated runoff. The formal name for a discharge authorization is National Pollutant Discharge Elimination System (NPDES) permit. NPDES permits cover industrial and wastewater discharges, storm sewer systems in larger cities, stormwater associated with industrial activities, runoff from construction sites that disturb more than one acre, mining operations, and some animal feedlots and aquaculture facilities. Permits focus on both numerical limits for pollutants along with the best available technology. Numerical limits on discharges from pipes are set to ensure that the receiving waters can assimilate the contaminants without violating water-quality standards. The technology approach includes limits based on reducing discharges as much as economically reasonable. EPA publishes "effluent guidelines" with performance standards for major industrial groups. For a given facility, the more stringent of the two limits - numerical or technological - is the one applied. Some facilities qualify for "general permits." Some industrial facilities are so similar to each other that they can be covered with a single "general permit," which is typically quicker and cheaper to obtain than an "individual permit," which is designed for a specific facility. A company applying for a general permit must demonstrate that it can comply with all the requirements in the permit. Most individual permits include monitoring requirements. A facility must describe any chemicals suspected of being released in measurable quantities. The permit will then specify which chemicals should be analyzed in the facility's effluent, the testing methods to be used and how often the testing should be done. For a water body that meets water-quality standards, anti-degradation policies come into play. Watershed strategies may be developed to avoid new sources of pollution and to maintain the water quality at acceptable levels. "Impaired" waters go on a list. When sufficient information demonstrates that a waterway fails to meet one or more water-quality criteria, that waterway is designated as "impaired" for those criteria. Ecology must submit to EPA a list of impaired water bodies, called the 303(d) list. Waters that are not listed as impaired go into in one of four separate categories, depending on their health, cleanup status and available information. When a water body is impaired, a plan is required to restore the waters to a healthy condition. A total maximum daily load, or TMDL, involves an estimate of the total amount of various pollutants that can go into the water, with the goal of meeting the water-quality standards. The TMDL also allocates acceptable loads to all relevant sources, so that the total amount of each pollutant is not exceeded. A TMDL implementation plan includes strategies for reducing the pollutants, including specific allocations for permit holders and reductions for nonpoint sources. If nonpoint reductions fail, then permits must be tightened to reach the goal of clean water. 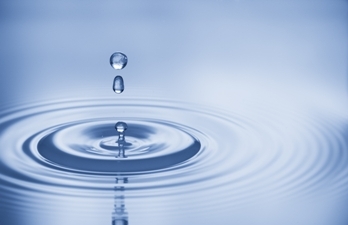 Read a full summary of the Clean Water Act from the U.S. Environmental Protection Agency.